Dr. Allen, affectionately known as, The People’s Emcee, is a woman you want on your team! The sound of her voice commands with calmness or excitement and everyone feels as though they are the only VIP when in her presence! Copa: Where are you from Renee? ​Renee: Born in New York, Dr. Allen grew up in Fairfield, Conneticut, across from Jennings Beach. The oldest of three girls, I have always been accountable for my sisters and looked out for them. That pecking order parlayed into my adult life where I've always supported, educated, inspired and edified other women, regardless if they reciprocate. Copa: What brought you here to live and work in the Washington, DC area? Renee: I retired from the United States Navy at Bethesda Naval Hospital, which is now, Walter Reed Medical Center and remained in the DC Metro area. I stayed in this area and married my son’s father. I absolutely loved the DMV area and carved a few lanes during my residency. Copa: How did you recieve the moniker of "The People's Emcee?" ​Renee: I was pegged the title of "The People’s Emcee" after hosting many events I was campaigning for a former County Executive Rushern L. Baker and a woman by the name of Debra and I were visiting each voting site to bring energy and momentum and his wife Christa said you are truly for the people. She and I bonded and as I sang the chorus of the campaign song she said you are The People’s Emcee and it stuck! I take much pride in being a “light” in the room for others and acting as an extension of the sponsor of a particular event. It’s something about making people smile and feel good that has always made me feel good! Copa: In your humble opinion, what can the average person do to improve their basic communicaton skills with others? Renee: In my humble opinion, the average person knows how to ask for what they want; however, one of the keys to communicating is to speak with the posture of how you can pour into or assist the other person. Most people grow up knowing the basic manners, but too many become lazy with executing them on a regular basis. All of us deserve to be treated with dignity and with kindness. I would recommend that everyone read my dear friends book; “Communicating to Win: In Life, Love and Business,” by Bob Paff, which I call the Communication Bible. Communicating with love and respect is what I truly believe matters. Copa: Do you believe that everyone has that special 'something' in their personality that could propel them to move to higher heights? ​Renee: Yesssssssssssssssssssssssssssssssss, I believe that everyone, without a doubt, has a “special something” in their personality that could propel them to move to higher heights. In my case, GOD, and for some, it may be a higher power created us in His Image and the mold is created one at a time. Even twins have something different about them. I believe there are too many people caught up attempting to micmic or follow someone else’s dreams and in the process (maybe months or decades) lose their special something. I’ve witnessed it and it is a sad situation. Either way, you should never give up on yourself or your passion/dreams/goals/destiny because no matter how old you are, as long as you can breathe; it’s not too late! I call that special something Star Power; which is the title of my upcoming book. Copa: "The Renee Allen & Friends Show" has really taken off over the years. What's the recipe to it's success? 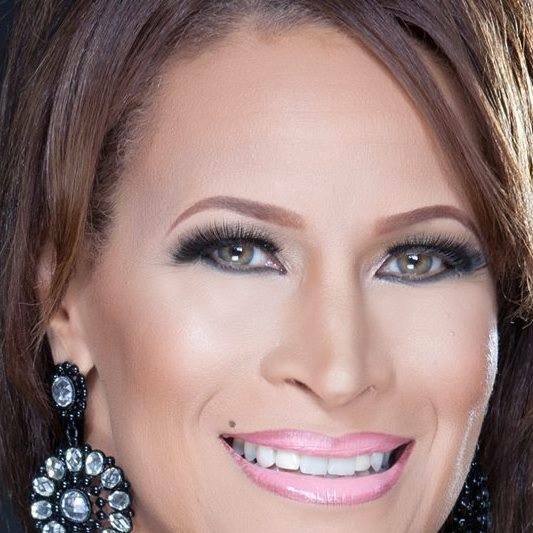 Copa: What does the future hold for Dr. Renee Starlynn Allen? Renee: The future is shining bright for me and all who believe; and I thank God, my Mom, Ms. Charlotte Fraser, my family, my tribe, my mentors, my friends, and my son for their continued support, love and time! I am working on a few awesome projects, completing the finishing on my first solo book after five collaborative book projects, and I am particularly super excited about the upcoming and final phase launch of NeVetica, Your Pets Choice with my dear and longtime mentor and friend Dr. Lance London. Pet Parents will be able to give their furry loved ones an opportunity to live a healthier & happier life with revolutionary products and services via a FREE APP and FREE Pet Assessment! If you want to learn more about the NeVetica products, want to receive the Free APP, or learn how you can become a partner in a ground floor opportunity, feel free to contact me on FB : PetParents360 email: PetParents360@gmail.com or on FB: Renee Starynn Allen.